TMPRSS11D is a trypsin-like serine protease released from the submucosal serous glands onto mucous membrane. 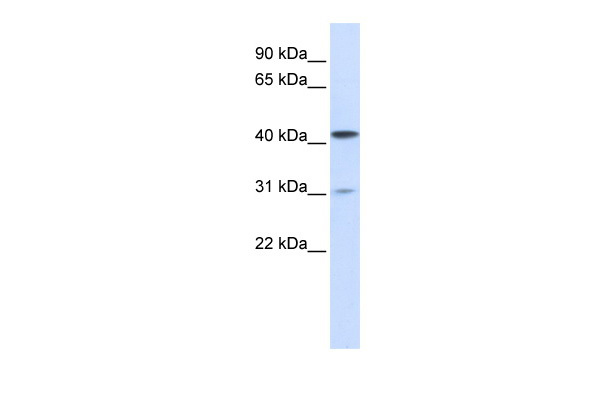 It is a type II integral membrane protein and has 29-38% identity in the sequence of the catalytic region with human hepsin, enteropeptidase, acrosin, and mast cell tryptase. The noncatalytic region has little similarity to other known proteins. This protein may play some biological role in the host defense system on the mucous membrane independently of or in cooperation with other substances in airway mucous or bronchial secretions.This gene encodes a trypsin-like serine protease released from the submucosal serous glands onto mucous membrane. It is a type II integral membrane protein and has 29-38% identity in the sequence of the catalytic region with human hepsin, enteropeptidase, acrosin, and mast cell tryptase. The noncatalytic region has little similarity to other known proteins. This protein may play some biological role in the host defense system on the mucous membrane independently of or in cooperation with other substances in airway mucous or bronchial secretions. 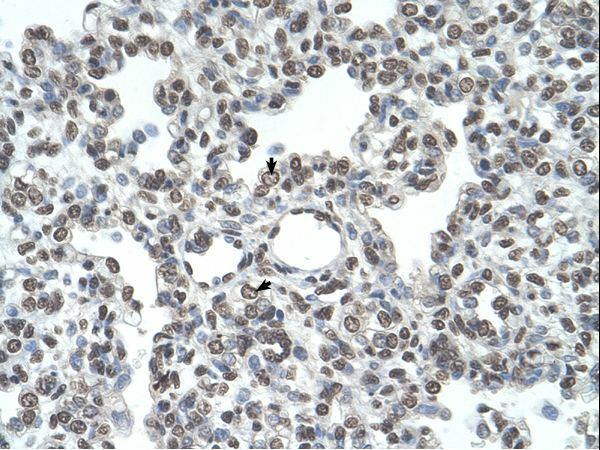 Western Blot analysis of TMPRSS11D expression in transfected 293T cell line (H00009407-T01) by TMPRSS11D MaxPab polyclonal antibody.Lane 1: TMPRSS11D transfected lysate(45.98 KDa).Lane 2: Non-transfected lysate. 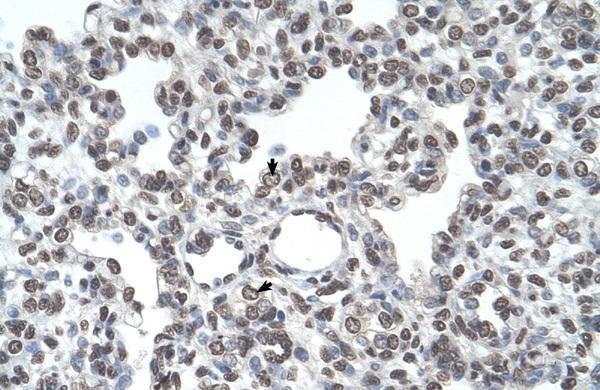 Western Blot analysis of TMPRSS11D expression in transfected 293T cell line (H00009407-T02) by TMPRSS11D MaxPab polyclonal antibody.Lane 1: TMPRSS11D transfected lysate(45.98 KDa).Lane 2: Non-transfected lysate.